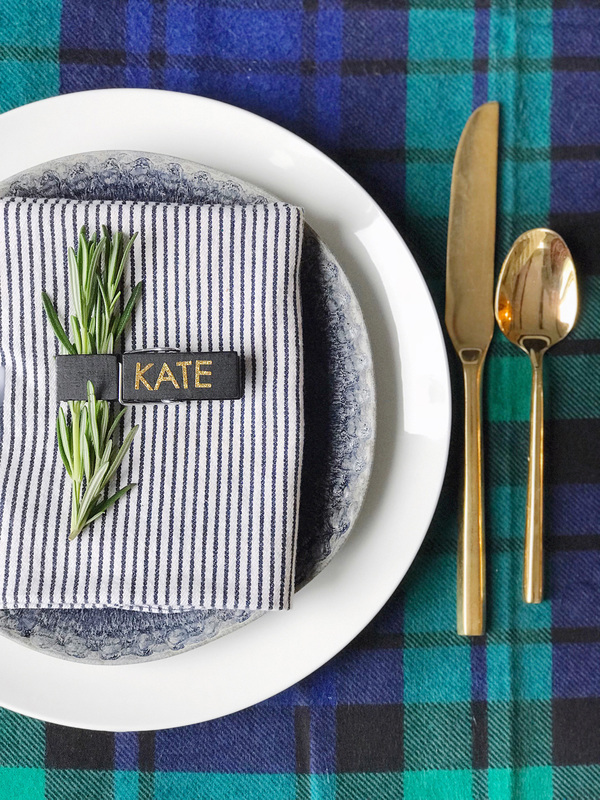 4 Easy Holiday Place Setting Ideas. You’ve cleaned the house, you’ve ordered your groceries, the apron is on and all that is left to do is prep the holiday meal. Of course there’s one other item on the list that you forgot to tackle: putting together a Pinterest-worthy tablescape for your beautiful meal and gracious guests. I can sense the eye-rolls as you read this, because with everything else going on with holiday preparations, who has time for that?! 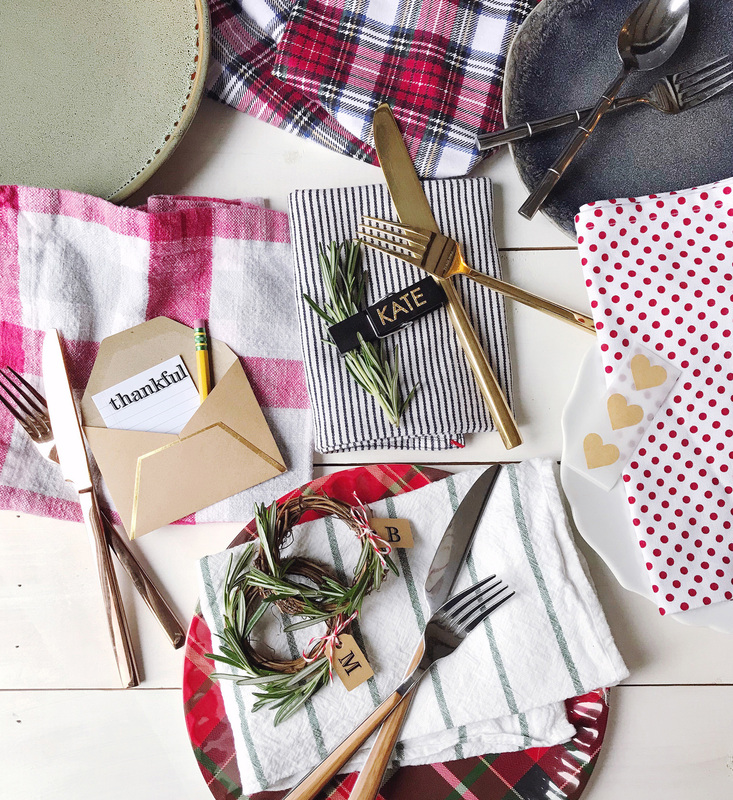 That’s why I have four easy DIY ideas to dress up your place settings for the holidays that should take under 5 minutes to make and use simple household supplies: Clothespin Place Cards. There is something rustic and homey about a clothespin, don’t you think? To make these simple place cards, I used alphabet stickers to spell out guests’ names and used the clip to tuck in a few fresh herbs. You could get creative with what you decide to clip into the clothespin and try different items to match your color scheme. Colorful fall leaves, fragrant fresh herbs, or use them to clip closed a brown paper bag holding baked treats! For an extra fun touch, add a magnet to the back of the clothespin so guests can take them home and use them to hold papers and pictures on their fridge. Rosemary Wreaths. I love using fresh herbs in a tablescape because they’re so darn pretty and give off a fresh and seasonal aroma. 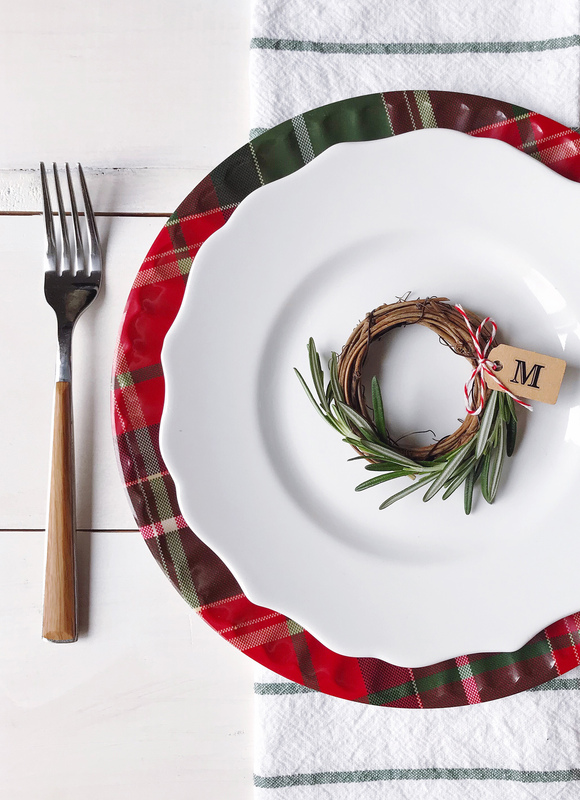 Use one long rosemary sprig and tie it in a circle with bakers twin to make a mini-wreath at each place setting. If you have time to hit the craft store, you can add rosemary to mini twig wreaths with bakers twine for even more texture. When using the bakers twine to tie the rosemary together, thread a small craft paper tag on with your guests’ initials. Guests can take these home and as mementos from the dinner, and maybe even use them as holiday ornaments. Notes of Gratitude. The holidays are about more than just indulging in comfort foods and watching hours of football; they’re about expressing our gratitude and giving thanks. 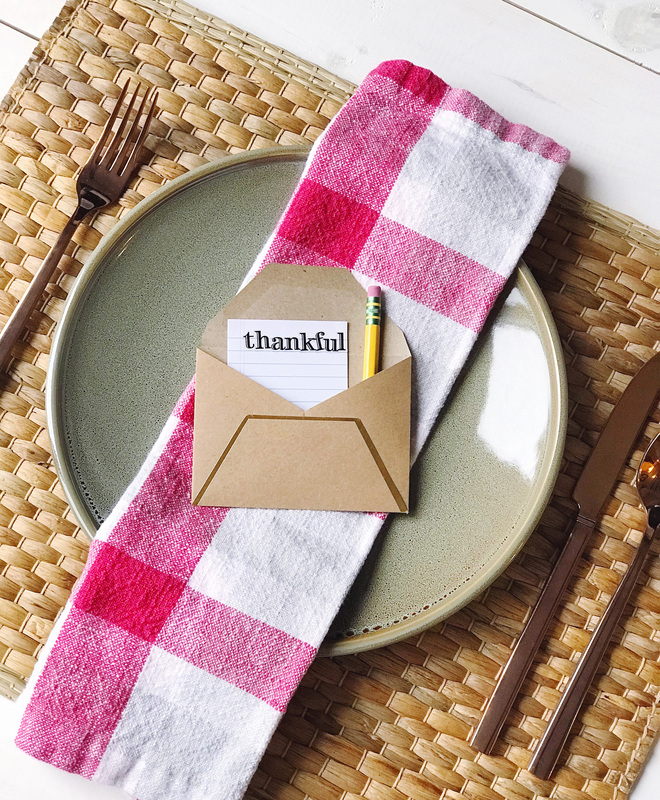 Make an activity out of it and include a small piece of paper, a tiny pencil, and an envelope at each place setting for your family to write down what they’re thankful for. You can let everyone seal their notes up in the envelopes, and bring them out in a few months or at your holiday dinner next year to remind everyone what they wrote down. Hunting for tiny pencils to add to the place settings? I took regular #2 pencils and sharpened them down to the right size for my envelopes! Kid Activity Kits. The kids’ table needs some attention too! Or rather, something to keep the kids attention at the kids’ table. I remember as a kid how fun it was that my grandmother gave the kids special place settings with “fancy” cloth napkins and glasses. It made us feel part of the celebration. 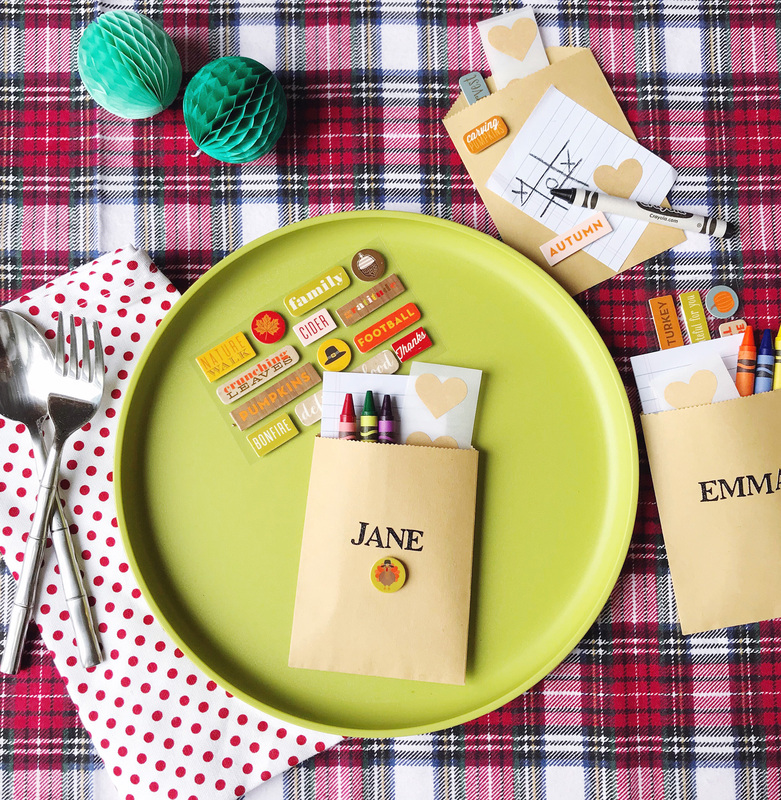 To give kids their own special place settings, and something to do while the grown-ups enjoy their meal, create mini activity kits to put on each place. I used small brown paper bags and filled them with seasonal stickers, little notepads, and a few colorful crayons for playing tic-tac-toe and coloring. I know a few adults in my family who wouldn’t mind sitting at the kids’ table if they had these treats! 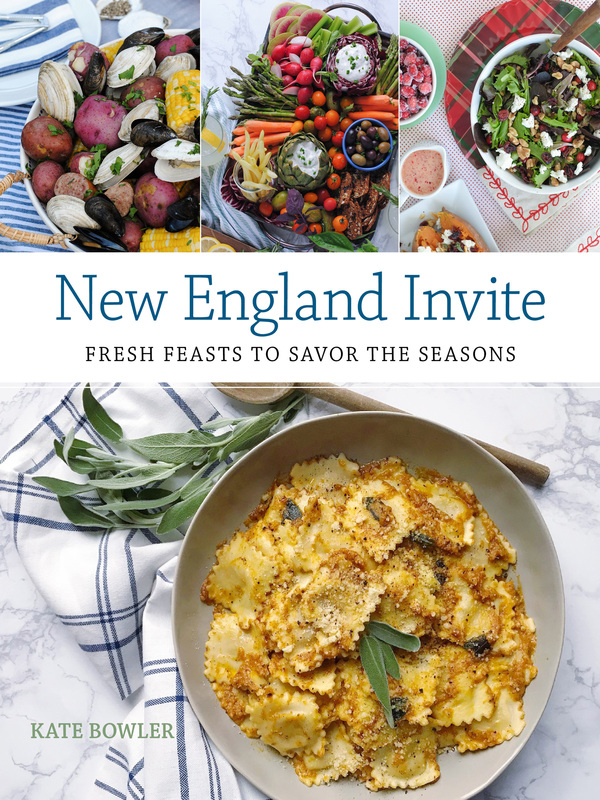 PS: Looking for more ways to get in the holiday spirit? How about by giving back? Now through the end of November, Peapod wants to spread the word on hunger awareness and give back to Feeding America. Peapod is asking parents to submit videos of kids volunteering or fundraising for Feeding America. For every video submitted, Peapod will donate $100 to Feeding America and another $100 to a nonprofit of their choice. Get more information here. Please note: This post was created in partnership with Peapod. All opinions, images, and content are my own. Giveaway with Chasing Paper and Meridian. Hostess Gifts, Wine, and DIY Wrapping Ideas. One Response to "4 Easy Holiday Place Setting Ideas." Delightful ideas! 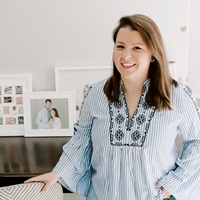 I especially like your kids’ table pockets of fun things to do!